The CTS Sleep Support Program offers a variety of sleep consultation services to educate parents and to help children get the healthy and restorative sleep they need. Sleep is the hottest topic when you are a new parent. “How is the baby sleeping?” is almost the first question every new parent gets when entering a room. Friends, family and even strangers in the store often offer their well meaning stories and advice, but often their advice is confusing and less than helpful. If your baby is not the miracle baby that slept through the night since day one, parents can feel like they are doing something wrong or worse that there is something wrong with their baby. You may have so many questions about sleep, but no time or energy to search through all the sleep books and blogs for the answers. The Sleep Support Right Start Lesson is a great way for new or expectant parents to get their infant started with healthy sleep habits from the very beginning. This is a 45-minute phone lesson to teach parents how to create a healthy foundation for sleep for their newborn (under four months.) It provides parents with clear, evidenced based strategies that are easy, age-appropriate and effective. Safe sleep practices, sleep milestones and other developmental information related to sleep will also be discussed. Parents will receive the AAP Guidelines for Safe Sleep Practices and the Sleep Support Infant Sleep Guidelines to Healthy Sleep via email following the lesson. Safe sleep practices, sleep milestones and other developmental information related to sleep will also be discussed as appropriate to the child’s age. Parents will receive the AAP Guidelines for Safe Sleep Practices (children under 12 months) and the Sleep Support Guidelines for Healthy Sleep based on the child’s age. This consultation is best for parents seeking advice on how to improve their child’s sleep without additional support. The consultant will offer appropriate strategies and discuss evidence based methods that are comfortable for your family. The Comprehensive Consultation Packages provides all the necessary components for improving your child’s sleep. These packages are best for families who are experiencing significant difficulty sleeping and are ready to do whatever it takes to make a change – because they just need to get some sleep! Families that choose these packages often describe themselves as “at their wits end.” This package is best for families with children over 8 months old. During your initial consultation, our child sleep consultant will ask questions, listen, analyze and evaluate your situation and concerns. Together, you will discuss how to make the needed changes to correct the sleep problems you are experiencing with your child. We will decide on which strategies are appropriate for your child and comfortable for your family and your child’s caregivers to carry out. You will receive all the information discussed during your consultation in a clear and easy-to-follow written plan. Once you are ready to take commit following the plan for two weeks, Sleep Support will be there to support you along the way. Follow-up support is a critical component to success. Upon beginning the plan, the child sleep consultant will check-in with you and be available to answer your questions for two weeks. Frequency and preferred method of support (phone or email) is determined with the each family and consultant. Staying on top of the situation and having close contact and support is one of the most valuable resources a family can have during this challenging time. 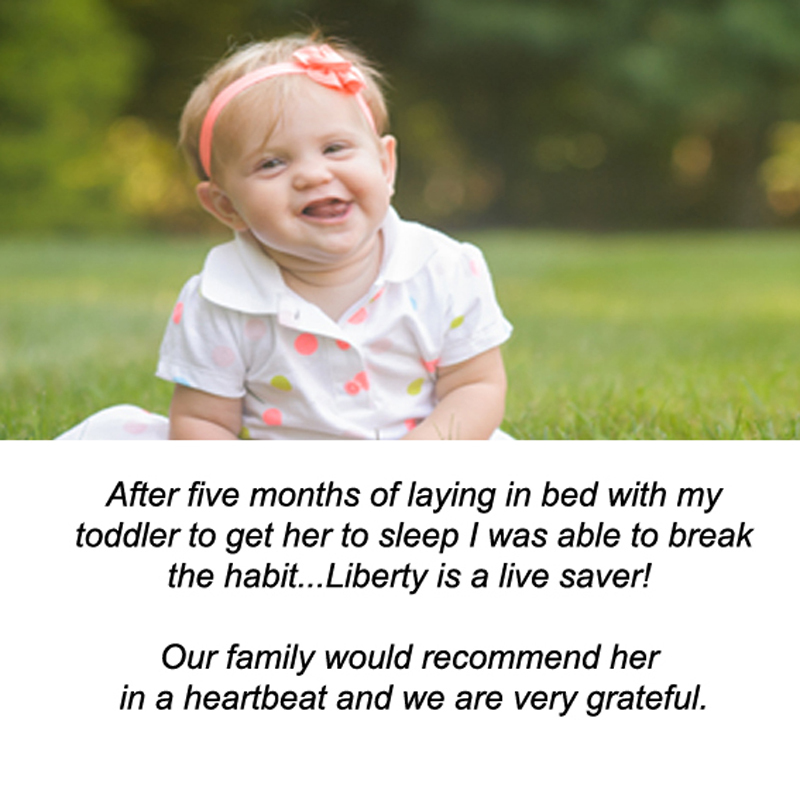 Our goal is for you and your child to have the best sleep possible. One day of email support after the concluding phone call to be used within 2 weeks. *Visits to home are available in towns in the Greater Danbury and Greater Waterbury area (Travel fees apply for consults outside our designated areas. Please contact us for details and travel pricing). Initial 60-minute consultation completed via phone, FaceTime or Skype. This 45-minute phone lesson will provide parents with the signs to look for that their child is ready to make a transition and the strategies to make this transition as smooth as possible. A Sleep Support Guideline to Transition will be provided via email to families following the lesson. 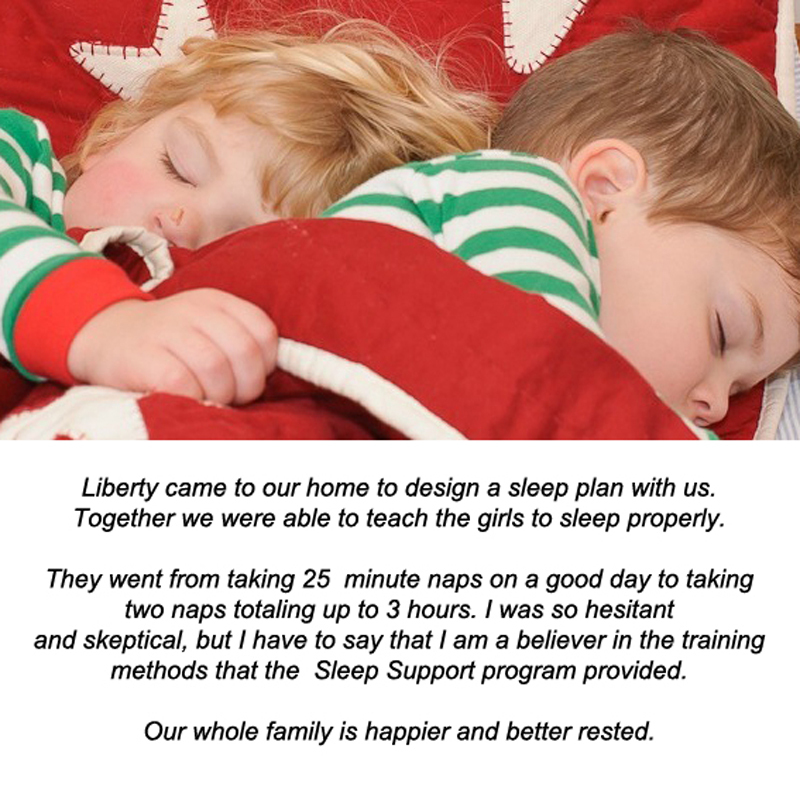 These lessons are only for parents that have previously attended a workshop or purchased a lesson or consultation with the Sleep Support Program. Although families have the knowledge that they need to maintain healthy sleep habits after our consultation has concluded, sometimes little ones throw a few curve balls your way as they grow and transition to new sleep milestones. CTS Sleep Support is available to help resolve minor sleep problems for our previous clients to get our little sleepers back on track and well rested. 1 Day SOS: One day of email or one 30 minute phone call for when you need to ask a few questions. Extended SOS: A 30 minute phone call for when a new situation arises and you need some extra support. Also includes 2 days of follow-up email to be used within two weeks. If you are interested in having our Child Sleep Consultant as a presenter or guest speaker at an upcoming event, class, lecture, meeting, play group or support group, please call our program coordinator, Cindy Jackson at 203-271-3288. NEED SOME HELP DECIDING WHICH CONSULTATION IS BEST FOR YOU? Are you unsure about which option would be best suited for your child and family? Please contact our Sleep Consultant for a FREE 15-minute Introductory Phone Call! This will give us the opportunity to discuss your individual situation, and decide which package is best for you and your child. Please call Liberty Mahon at 203-240-0063.